God speaks in everything, even a Diaper Change! Need a Guest Speaker or Writer? YES please! I just recently returned home from a month long trip across country. That means miles and miles and MILES of highway stretched out before us decorated with road signs and billboards. I saw a bunch of billboards along the way advertising hotels, theme parks, political/social agendas and also a few promoting religious concepts (or degradation of them). One or two Christian themed billboards that I saw had very short messages about repentance or a snippet about Hell. What if I were to put just one verse or one single spiritual concept on a billboard for all to see? What would it be? How about you? What would yours say? The more I thought about it, the more I decided I couldn’t put just one thing on a billboard. Don’t get me wrong, I don’t underestimate the power of God’s word. If He wants to bring someone to faith and repentance from just one verse of the Bible or a simple presentation of gospel truth, then it will happen. It means INVESTING in people a little at a time. A billboard won’t get community done. That is just the honest truth. God has done a wonderful thing by putting people in our little worlds for us to share our lives with. He doesn’t intend for us to live autonomously. Mat 5:14-16 “You are the light of the world. A city set on a hill cannot be hidden. 15 Nor do people light a lamp and put it under a basket, but on a stand, and it gives light to all in the house. 16 In the same way, let your light shine before others, so that they may see your good works and give glory to your Father who is in heaven. In order for the light to shine before others, other people need to be around!! There are people EVERYWHERE-under our own noses in our homes, at the work place, within our local body of Christ, and just think of how many people you come into contact with on a daily basis. It would be easy to set out to BE a light in this world. We could figure out what it looks like to have the light in us and model it, yet all the while not be one who possesses it. God has done a work in me. I can’t escape it. As I learn more about Who God is and what He has done, He increases my knowledge of what is pleasing to Him. In turn, my desire to do what He asks also increases. The light resides in me because GOD put it there, and since He put it there it WILL shine. How do I describe that “shining”? I think of the shining as sharing. It is sharing the truth of God’s gracious gift toward sinful people through loving and doing things for them. God demonstrated His love for us in Christ. He desires us to be demonstrators of that great love to those who don’t know Him. Share the motivation behind the loving things you do or sinful works you avoid! If your motivation is something other than Christ and HIS love and grace upon your life, I urge you to examine yourselves as Paul suggests to the Corinthians. Faith in anything but Christ is not true faith. This is not something that you can effectively or concisely paste on a billboard. BUT, I found a way around that one-thought-billboard problem. 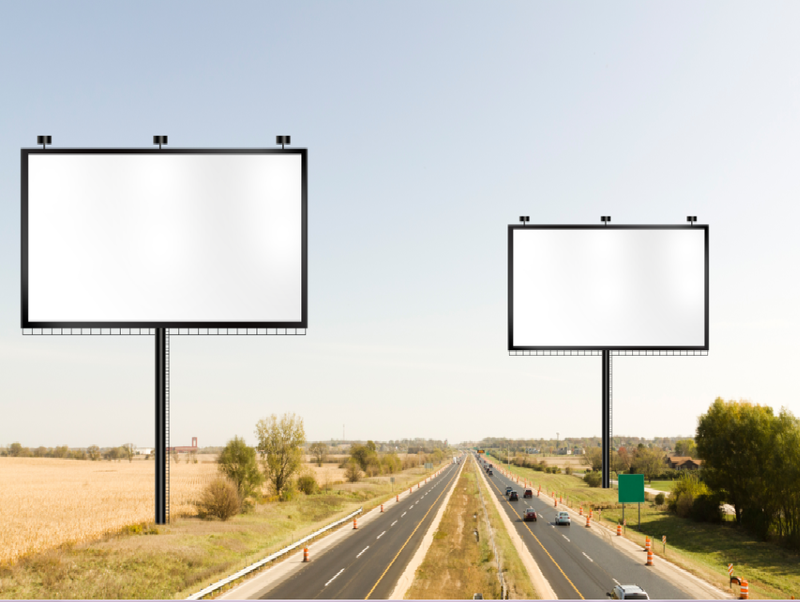 You know those flashing, digitized billboards? THAT is what I would use! Granted, people would either hold up traffic or have to pull over to read it! For now though, I will pay closer attention to what God wants me to do and say to those around me. By God’s grace I will lovingly share the truth in word and in deed in effort to bring more people to the knowledge of Christ, all the while trusting God for the results. I am opting to live a Billboard LIFE. That means I will point to Jesus for successes, praise Him for victories and lean on Him through trials and failures…all while the world watches.